By Michael Jackson. Arranged by Stephen Rockey. Score, Set of Parts. 31 pages. Published by Stephen Rockey (H0.408969-750283). 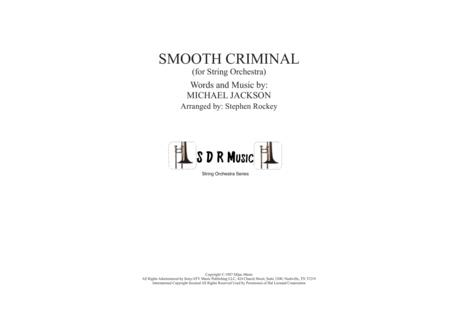 Smooth Criminal by Michael Jackson for String Orchestra, so this had divisi parts for violins, viola and Vcello. There is an optional Drum Kit part, and will make a great change to the usual classical repertoire, as an encore or even a programmed item. Enjoy.